La Roux in Montreal or Quebec City? Inform me about the next events for La Roux. Enroll yourself to our priority waiting list for La Roux to be alerted when new tickets are available. Filling this form doesn't engage you to any purchase. 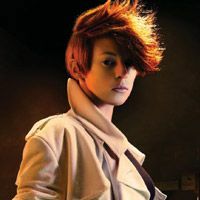 La Roux, British phenomenon of the hour, will be back in Montreal on July 23rd, 2010, as part of the Lilith Fair festival, which will happen at Parc Jean-Drapeau. Alongside La Roux will be many big female artists for Lilith Fair: Sarah McLachlan, Mary J. Blige, Chantal Kreviazuk, Kelly Clarkson, Ima, Elisapie Isaac and Lights will also be on hand. For La Roux, this will be a fourth visit in Montreal within 12 months! La Roux's first self-titled album was released in June 2009 and is doing great on the charts ever since.